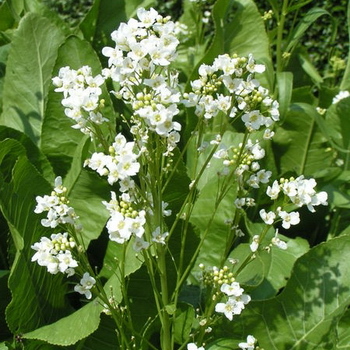 Horseradish is a large, coarse, weedy looking herb, cultivated for the use of its roots as a pungent food relish. Very popular, standard rhubarb variety with broad, deep red, thick stalks. Tartly flavored, tender. Reliably hardy.